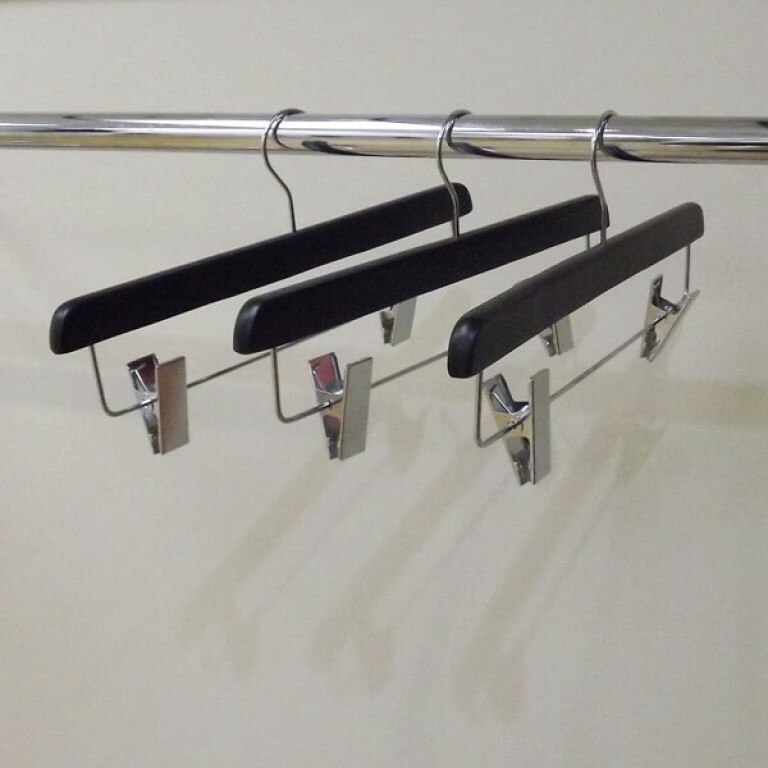 Our black clip hanger measures 35 cms across the bar and has two chrome clips fitted with hidden clear plastic inserts to stop items being marked. 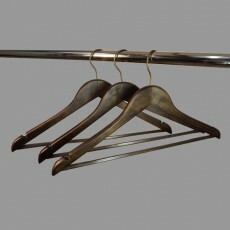 The hanger is made of chrome and can twist around to suit most displays. 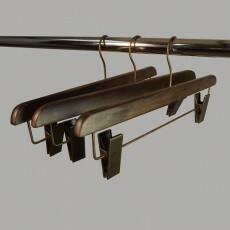 This clip hanger is a true classic and very popular within the range of black wooden hangers, complimenting the bar and no bar. It is really good value for money and looks very classic and expensive. We sell a lot of these for menswear shops, supplying many large retail stores. Available individually or in multiples of 50 at a box rate discount. 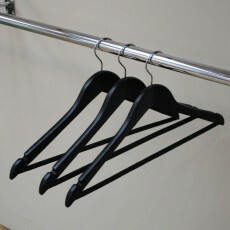 Superior quality wooden clip hanger (matt black wooden coat hanger with metal clips). 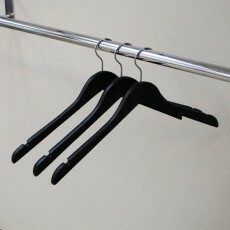 A versatile clip hanger, suitable for trousers, skirts, etc. Service rating : Exeptional Customer Service, Very quick turnaround, Warm people & I could almost see them on the other side of the phone happy serving. My experience in this company has changed my bad impression towards customer service in the UK. They truly deliver!!!! Product : In perfect... Read More. Service rating : Exeptional Customer Service, Very quick turnaround, Warm people & I could almost see them on the other side of the phone happy serving. 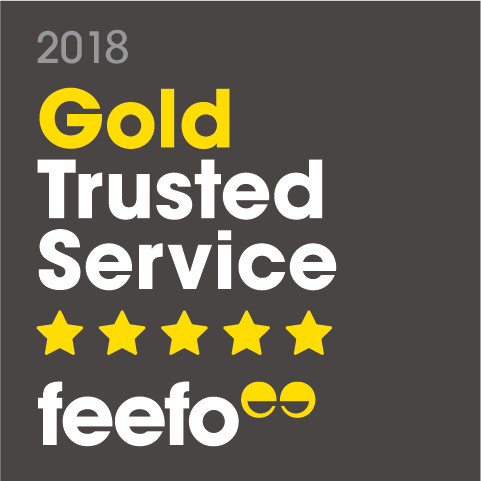 My experience in this company has changed my bad impression towards customer service in the UK. They truly deliver!!! !